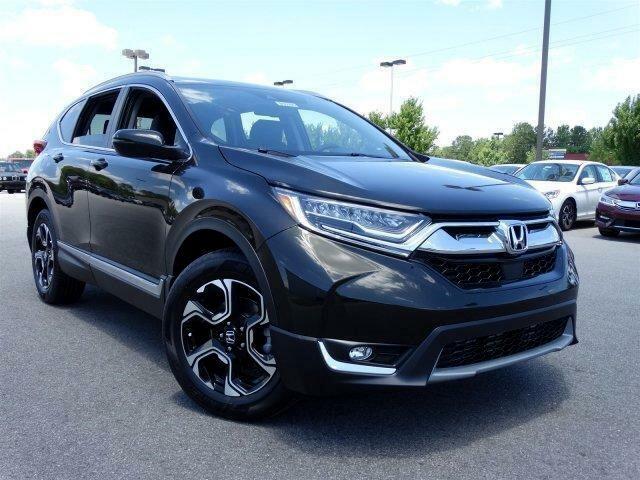 2019 Honda CR-V EX 4WD Lease For $319.00 Per Month, 39 Months Term, 10,000 Miles Per Year, $0 Zero Down. 190-hp, Turbocharged DOHC 4-Cylinder Engine8, Multi-Angle Rearview Camera with Dynamic Guidelines4, Blind Spot Information System (BSI) with Cross Traffic Monitor9, Remote Engine Start, Smart Entry, Driver Attention Monitor, Dual-Zone Automatic Climate Control System, Heated Front Seats, Apple CarPlay™10 integration, Android Auto™11 integration, 2nd-row USB charging ports, Driver's Seat with 12-Way Power Adjustment, Including 4-Way Power Lumbar Support, 7-Inch Display Audio with Electrostatic Touch-Screen, One-Touch Power Moonroof with Tilt Feature, SiriusXM® Radio12, Heated, Body-Colored Power Side Mirrors Including Integrated Turn Indicators, Push Button Start, SMS Text Message Function13, HondaLink®14, Honda Sensing® Feature Suite, Fog Lights, All Colors and Options available, Add Sales Tax, $595 bank fee, $239 DOC & DMV fees. Includes 10k miles per year (other mileage options are available).